Sergio Aguero and John Stones are set to return when Manchester City host Leicester City on Saturday, live on Sky Sports 1 HD from 11.30am. The pair took part in full training on Thursday as they continue to recover from groin and abductor injuries respectively, having missed the 5-0 win over Crystal Palace last weekend. Pep Guardiola's side sit fourth, three points ahead of Arsenal and know only a win will suffice over the Foxes as they look to clinch the final Champions League spot. Leicester manager Craig Shakespeare is aware of the challenge that lies ahead for his players. "I saw the game against Crystal Palace and they looked hungry to me," said Shakespeare. "I thought they were outstanding. Their offence would cause any team in the world problems." Ilkay Gundogan remains a long-term absentee with a knee injury, while goalkeeper Claudio Bravo (calf) is also of Saturday's clash. Aguero (groin) and Stones (muscle) are both in contention to return to the starting XI. Danny Drinkwater is unlikely to play again this season after picking up a thigh injury against Watford. Defenders Robert Huth (foot) and captain Wes Morgan (hamstring) will also be unavailable for the trip to the Etihad. Man City have won only two of their last seven Premier League meetings with the Foxes (D2 L3). Leicester have won their last two league games against City, scoring at least three goals each time (3-1 in February 2016 and 4-2 in December 2016) - the Foxes haven't won three in a row against City for 50 years (March 1967). 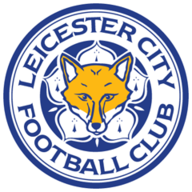 The Foxes have won five of their last six top-flight visits to Manchester City (L1), their only defeat in this run a 0-2 reverse in March 2015 under Nigel Pearson. Manchester City have won their last four home Premier League games against reigning champions - each of the last two were by a three-goal margin (4-1 v Manchester United in September 2013 and 3-0 v Chelsea in August 2015). Pep Guardiola's side have lost just once at home this season in the Premier League, though have drawn seven times (W9 D7 L1). Jamie Vardy has scored seven times in his last 10 Premier League games, after just five in his first 22 this campaign. Vardy's only Premier League hat-trick came in the reverse fixture against Manchester City in December. Craig Shakespeare has won seven of his first 10 Premier League games in charge of Leicester (W7 D1 L2), two more than Claudio Ranieri managed in his first 10 (W5 D4 L1). Kevin De Bruyne has assisted six goals in his last seven Premier League matches, including two last time out against Crystal Palace. The Foxes are looking to record back-to-back away wins for the first time this season, last doing so on their way to the title in April 2016 (three in a row). This will be a hard game for Man City and I think this will be an entertaining one with a lot of goals. Pep Guardiola's team need a win to finish in the top four and Craig Shakespeare will want a result to put himself in a better position to get the job on a permanent basis. Fair play to him and his team who have kept going despite ensuring survival, but I still think City will have too much for them. 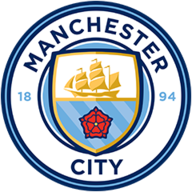 Manchester City are Sky Bet's 1/4 odds-on favourites to bag the three points on Saturday, with Leicester priced at 10/1 and the draw is 5/1. Sergio Aguero and Gabriel Jesus lead the first goal scorer market at 11/4 while Jamie Vardy is seen as most likely for the Foxes enhanced from 17/2 to 10/1 in Sky Bet's Price Boost. Manchester City are now seen as heavy favourites to bag a top four spot at 1/33 while Leicester are 7/4 to finish in the bottom half.